★★★★★ Data smart switch helps you switch phone by transfer and copy your data from phone to another over WiFi network, without the need for a computer. Data smart switch is a data recovery and data backup tool. Copying data with wifi Data Smart Switch has never been easier. You just need both phones to be connected to the same wifi network source, and then follow the instructions. 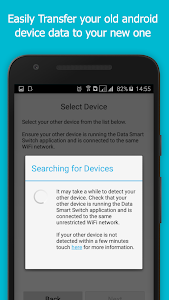 When you choose to, switch phone, copy your data, Data Smart Switch will find your nearby Android device running Data Smart Switch. it will begin transferring your data and put it in the right places. Just like that. Once your content has been transferred, you’re ready to get going. That’s it — you can start using your new Android Phone or Tablet. Enjoy. 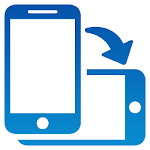 Data Smart Switch is a super backup and data recovery tool to easily copy data from your old phone to the new one, and switch phone without need for any computer or other tools. 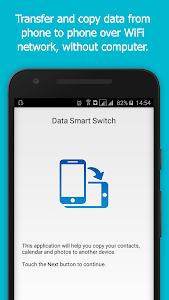 If your phone is old, and you want to switch phone and backup your contacts, photos and video to the new phone, just use Data Smart Switch data recovery tool to easily copy data in a few easy steps. 1. Copy data from one phone to another. 2. 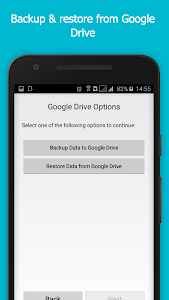 Backup and restore from Google Drive. Real-offline data transfer. No need to worry about scary data leaks and breaches. Switch Mobile easily by using Data Smart Switch. Just download Data Smart Switch and try it out! Similar to "Data Smart Switch"